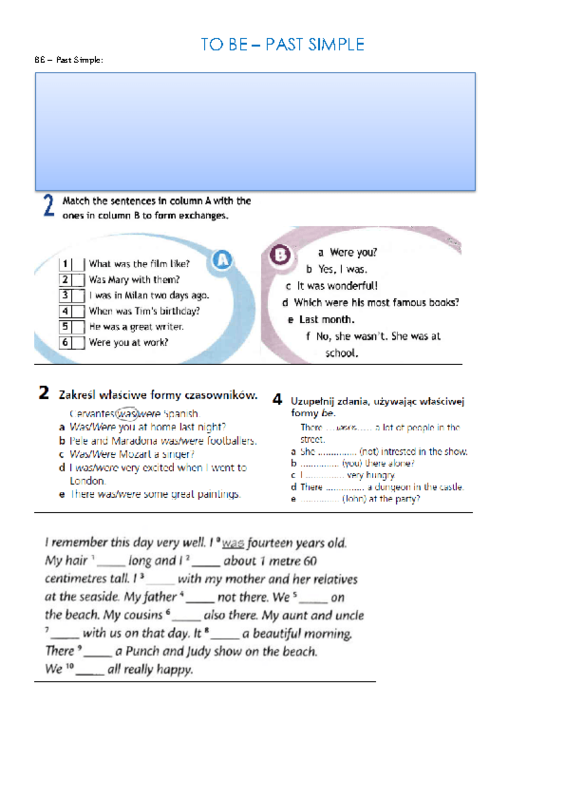 In this worksheet, you can find several exercises for to be in the past tense. This worksheet helps learners to understand and simply shows how to express past situations. Excersises are clear and very practical. I hope you enjoy this worksheet! Thanks.